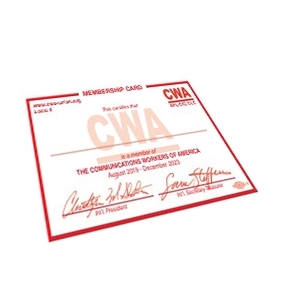 Authorized individuals only may order CWA membership cards. Each order will be verbally confirmed with the person placing the order. We reserve the right to limit quantities. There are no shipping fees for standard UPS ground for this item. If they are needed quicker, the local is responsible for expedited shipping.